The most expensive real estate education is ignorance. We offer the antidote. There’s something we need to talk about. There's an elephant in this room of investors. 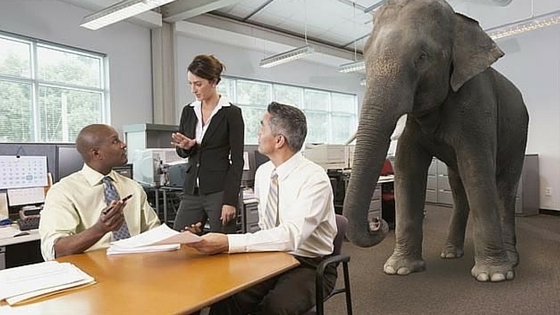 That “elephant” is compliance with following the Fair Debt Collection Practices Act when collecting your debt. You see, many people think that they are doing great in compliance but in reality most fall far short. I was in a conference recently and we were all given a test to see who could pass a compliance test. It was me and five other guys who were all major debt investors. Their experience trumps mine considerably! Combined, they had something like 200 years of investment experience. Amazingly, I was the only one who passed the test. I do not say this to brag, or in any other way draw attention to myself; rather, this experience taught me a very serious lesson. In the distressed mortgage investing world, there are some very strict laws in place to guide and protect both the lenders and the borrowers from fraudulent, abusive, and just plain mean collection tactics or other transactions. They protect you when you buy loans, so that it is clear what you are purchasing and for how much, and they protect the borrower from predatory and cruel lending practices. Because you are both a purchaser and collector of loaned money, you also need to be aware of what you need to do to collect these debts. Today we are going to go over communication with the borrower, that is, how and what you specifically need to say when you are attempting to collect a debt. We will discuss who you can contact to get a debt resolved, when, and where you may contact the debtor, as well as a brief discussion on unfair and abusive collection policy. First, who can you contact to get a debt resolved? A big part of the FDCPA is protecting the privacy of an individual. Violating a debtor’s privacy may constitute liability on your part for defamation of their character. Think about it for a minute, if you were late on making a payment, would you want your boss, your coworkers, or other family or friends to know? Probably not, and neither does your borrower. Congress agreed and included stipulations in the FDCPA to limit whom you may contact to collect a debt, and yet this is probably the second largest violation of the Act. So who can you talk to? You may only contact the consumer (specifically defined as the person liable for the debt, their spouse, executor, administrator, or their parent – if they are a minor), the consumer’s attorney, a reporting agency, the creditor and their attorney, and a debt collection attorney. Take extra caution that you don’t tell other parties about the debt. If you must contact a third-party (like their place of employment) to get information, such as an address, you may only state your name and that you are verifying contact information. Also, if you have the title of “debt collector” or something similar, in the name of your business, you cannot say so when contacting a third party gathering information. Next on the list are the rules about when you can contact a debtor. The law states you cannot contact at an unusual time, though there is some small variance of what constitutes an “unusual time.” Typically you may not call before 8 a.m. or after 9 p.m. In other words, if you would be bothered by a telemarketer at a specific time, your borrower won’t appreciate you calling them then either, and they might very well contact the Justice Department. Where can you contact the borrower? Don’t contact them at any inconvenient location. Specifically, you may not contact the consumer at work if you have reason to believe that the consumer’s employer prohibits such communications. When must you stop contacting the consumer? Notice that word is must, not “should.” The law is clear, if the borrower requests that you cease communications, you cease. Immediately. If they refuse in writing to pay the debt, or retain an attorney to represent them, you must stop communications with them immediately. Occasionally, there are exceptions to this rule. For instance, if their attorney is non-responsive, or you wish to notify them that the collections effort has been terminated, or that certain remedies are being enforced, then you are permitted to continue to try. Sometimes investors do not understand when they are being abusive when collecting a debt. What constitutes an abusive collection practice? Do you swear at your borrower? Stop it, you may not use obscene or profane language. Also, you cannot threaten to use violence or other criminal actions. You may not publish lists of debtors. You may not advertise a debt as being for sale to embarrass the consumer into payment. You may not make phone calls without properly identifying yourself, except as allowed to obtain contact information. Finally, you may not annoy, harass, or abuse by calling the consumer repeatedly. As a rule, keep your communications with the consumer professional and respectful and you’ll be alright. You also cannot mislead the consumer into paying. This includes any false or deceptive practices, including threatening foreclosure, if you are not truly moving in that direction. Whatever you do, do not misrepresent who you are. Unless you are actually an attorney, saying so, or even implying so, is not acceptable. Don’t falsely imply to the borrower that they have committed a crime. Also, you cannot use any name which isn’t the true name of your company. And falsely representing the amount, character, or legal status of the debt is wrong. What exactly is an “unfair practice” when collecting a debt? Some examples of an unfair practice include: collecting a fee which isn’t in the original agreement (a collection fee, attorney’s fee, interest, late fees, etc. ), taking a check that is postdated by more than five days (unless you notify the consumer within three to ten days before depositing it that you plan to deposit it). It’s unfair, and unethical, to threaten to deposit a postdated check early, and threatening to take legal action which you do not have the right to take. I have spoken at length of what I call the “mini Miranda.” Reading the Miranda Rights to a person as they are being arrested is something the police do to protect themselves, and the suspect, from inappropriate legal action. The biggest pitfall debt investors make when attempting to collect those debts is failing to disclose to the borrower in their initial correspondence that they are a debt collector and any info gained will be used for the collection of the debt you are calling about. This is critical. Not a suggestion or a nice thing to say, but absolutely critical in collection practices. Also, in any subsequent communications, you have to remind the consumer that they are still communicating with a debt collector. I put it in the footer of all my emails, so I am always covered, but I also consistently remind borrowers of what I am trying to do when talking with them. Don’t just assume that since you’ve spoken to the consumer before that they remember who you are and why you’re calling. Make it a standard practice to say who you are, the name of your business, and that you are a debt collector every time you contact a consumer, either on the phone or in written correspondence. By following these simple rules, you can protect yourself from any liability when collecting debt. Saprina is a nationally recognized expert in mortgage and trust deed investing. 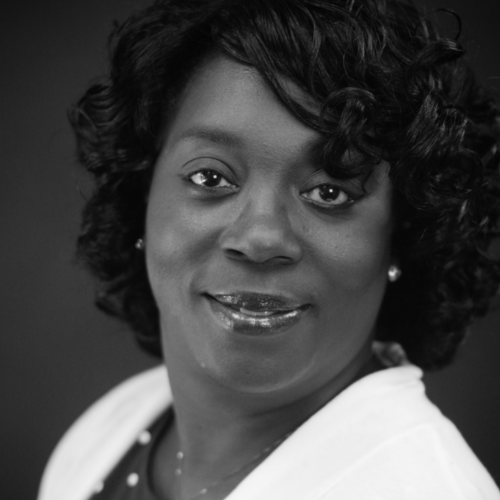 She has over 18 years of collections and mortgage experience, and has worked debt portfolios for both national financial institutions and individual note investors. She has extensive experience with loan modification, foreclosure, short sales, cash for keys, and mortgage deficiencies. Saprina is a sought-after speaker and readily shares her knowledge and experience.